Are you worried about having a scrap or thrashed vehicle? Don’t know what to do with it? Contact the reliable scrap car buyers Brisbane like Qld Wreckers. We are the best way through which you can garner highest money from your unwanted vehicle. Whether it is in a totalled, unregistered, busted or not-roadworthy condition. We won’t make it a factor to reject your vehicle. As it is our goal to dismantle and recycle as many junk cars as possible to help in environmental conservation. When you decide to junk your car, don’t let its condition become an obstacle in acquiring our assistance. Our trained and qualified team is specialised in dismantling and recycling a wide range of vehicles. The factors like make, model, year and conditionare not significant for us. We buy the following models on frequent basis: Subaru, Ford, BMW, Nissan, Audi, Chevrolet, Holden, Toyota, Jeep, Volkswagen, Isuzu, Mitsubishi, Tesla and so forth. Our experienced appraisers identify fair value for automobiles depending on their basic features. This includes the make, model, age and most importantly its condition.If a vehicle is absolutely useless, we assess its worth in terms of metal and recyclable components. You can talk to us at any time to find out the worth of your car. We give free quotes and complete freedom to compare it with other companies. Basically, we pay the highest price for cars up to $12’000. While getting rid of a junk or unwanted vehicle, getting an easy and quick removal service is important. Keeping this in mind, we give away free pick up and towing facility, it covers every area of Brisbane and immediate suburbs. We don’t implement any selling costs. This means you get free removals and free paperwork. As we regularly buy a plenty of makes and models our inventory is always updated with quality spare parts. 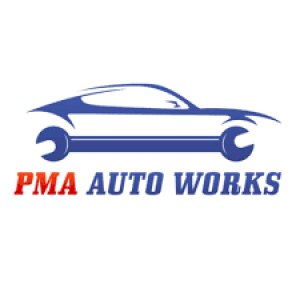 This way we assist people in repairing their vehicle with great used parts accessible at low prices. Just make us a call today to find your required part. We will quickly offer you one with a 30 - 90 days warranty.